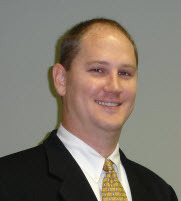 G. Thomas Lackey, Jr. (Tommy) is a Chartered Market Technician (CMT), Certified Financial Planner (CFP®) and Certified Fund Specialist living at Lake Oconee in Greensboro, GA . Tommy came into the industry in 1994 on the financial planning side of the business. He is a founding partner and CIO of Barber Lackey Financial Group, LLC a Registered Investment Adviser established in 1999. Soon after he worked through the internet bubble bursting where the “advice” the Institutional analysts and fund managers was giving didn’t exactly help, Tommy began managing the firms portfolios more tactically. He turned his efforts to the studying and understanding the markets which shifted his focused more directly on to Technical and Quantitative analysis of the security markets as a whole. From there Tommy has spent the last decade plus creating and honing technical tools designed to better process market data smaller chunks allowing us to quickly decipher where money is flowing to and from in the markets to help provide an edge to the portfolios he manages. Tommy and his wife moved to Lake Oconee (out of Atlanta for the first time since college) in 2010 in search of a more relaxing community to raise their boys in.